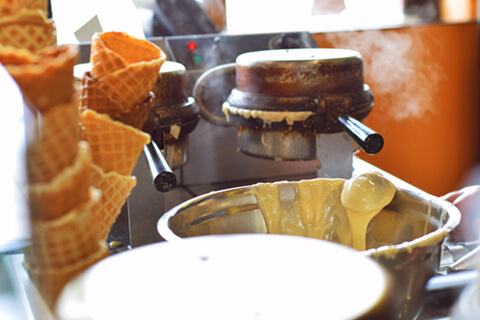 You won’t be able to ignore the smell of freshly made waffle cones that waft from our store. Once you’re inside, you’ll have over 40 classic and unique flavours to choose from with new ones always on the way! 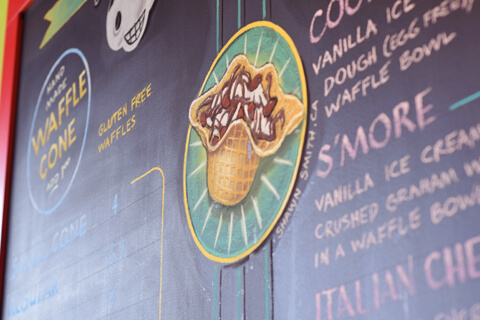 At over 20 years in the business, we’re still using our secret family recipe for our waffle cones. They’re so popular, we make them non-stop, so you never have to bite into a stale cone. 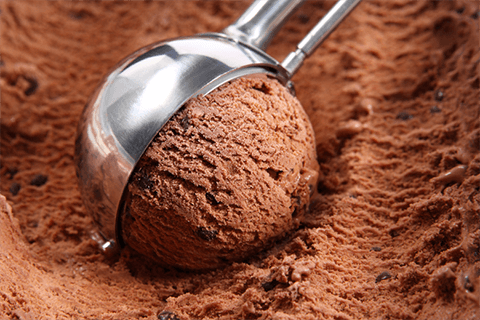 Our fast and friendly service assures you of the best possible ice cream experience! Family operated since 1998, MOOLIX offers delicious freshly-made waffle cones and a variety of premium ice cream flavors. If you’re looking for high-quality ice cream, MOOLIX is in a convenient, visible location in the heart of downtown by the Kelowna Sails. 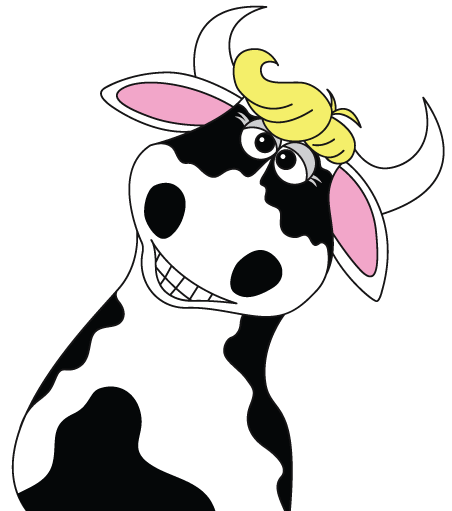 We use 100% Western Canadian ingredients and never use whey powder. The result is lower air volume which allows you to experience a premium ice cream unlike any you’ve ever tasted! We offer over 40 classic and unique flavours for you to choose from. We stick with 35 flavours at all times, and about 5 more are on rotation. And we add new flavours all the time! 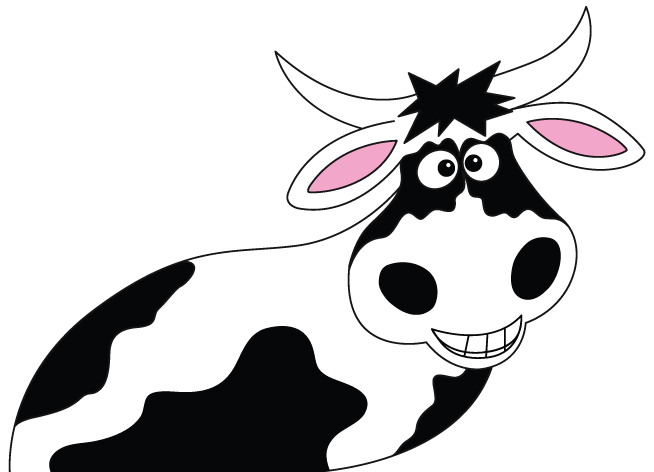 Our ice cream is hand made with a milk and cream base to create a smooth and creamy taste sensation. We only use local ingredients to make a premium, delicious ice cream. For those seeking healthier options or who have dietary restrictions, we offer yummy vegan flavours along with Tofulate. We also plan to offer gluten-free options in the near future. 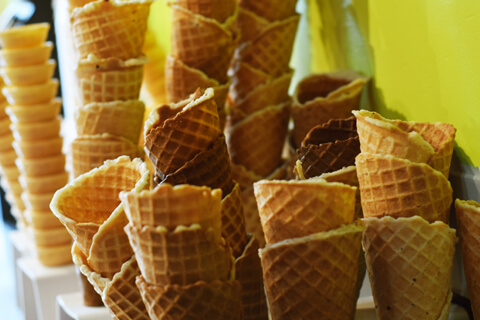 You can’t beat our freshly made waffle cones made from our secret family recipe. You’ll know you’ve found us by the amazing waffle-cone smell wafting from our store. Enjoy your favourite flavor in a cone, bowl, or cup. Or try one of our new Gluten Free Waffle Cones - Egg and Dairy Free! Our flavours are constantly changing! These are some of our biggest hits, but make sure to check back often.